Responsive, WordPress, HTML, and CSS, Mobile-friendly SEO Website designer based in Temecula/Murrieta, California, with clients across the United States. Like it or not, this is Google's world and they just let us live here. Therefore we must do what they say in order to get into their search engine. We know what it takes. 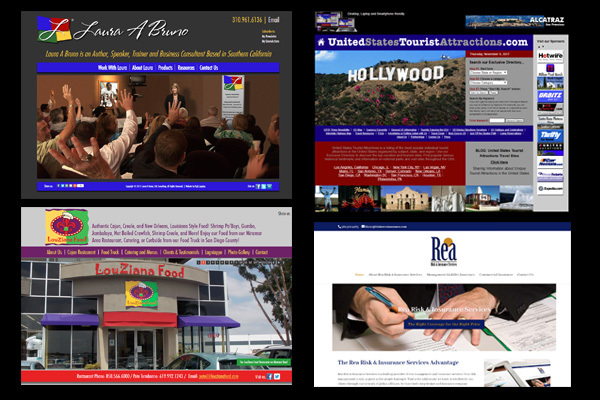 I specialize in high quality custom impactful websites that actually work for my clients. Most anybody can build a website, but without question, it will not look good or be effective. Deadlines are crucial in business. I will work within your timeframe and budget to give you a website that is functional and that you will be proud of. Your site must reflect your business personality and separate you from the crowd in the industry in which you compete. My ideas are all unique and start from scratch based on your company, products or services. I treat all clients with respect. If you dont understand website technology but know you need a new website, give me a call. I will talk to you in an easy to understand style without all the technical mumbo jumbo. I am sure that if you contacted any of my clients, not one would say that they overpaid for what they got. They will probably tell you they got a bargain. To me, your website could be the difference between your business living and dying. If you expect to get a return from your website, why would you trust someone with little or no experience? I am reasonably priced and I will work with you to meet your goals on time and on budget. Expect your website to show up somewhere you've never been. Ranked higher on Google. Temecula website design company using WordPress, Responsive, CSS, HTML. You name it, I do it. My name is Kurt Peck. I am a website designer based in Temecula, servicing Temecula, Murrieta, the surrounding communities, and several US based business’ website needs. I’m also an award winning graphic designer. This is my online portfolio. I have over 20 years solid experience in both website design and print graphics. If your style is Contemporary, Fresh, Innovative, Minimalist, Wacky or Conservative, I can create the perfect website design for you. This website is just a small sample of my expansive portfolio. I am reasonably priced and I will work with you to meet your goals. Call me for a FREE comprehensive analysis of your website right now. From Responsive WordPress to straight HTML and CSS sites, I can help you meet your Temecula website design online goals. Website designs must reflect your business personality and separate you from the crowd in the industry in which you compete. My website designs are all unique and start from scratch based on your company, products or services. Graphic design from Logo Design to Business Cards and Brochures to Postcards, the material you use to market yourself is what potential customers will judge you on. Often that is the first impression they have of you as a company. A professional image is vital to attract those customers. I have over 20 years experience at Temecula Website Design, designing and producing high-end websites and printed branding materials. Websites fail primarily for three reasons. If you’re not dominating the search engines or receiving all the business you think you can from your website, I can probably explain to you why. If your website is more than a couple years old, its probably time for a change. The technology and Google has changed a lot in the past couple years. Don’t fall behind your competitors by not keeping up with the changes. Call Peck Creative, the Temecula website design company. I have clients from several industries. From business consultants and speakers, to food manufacturers, non-profits, CPAs, landscapers, tree-trimmers, micro-breweries, match-makers, churches, manufacturers, oil investors, hair salons, and on and on. There is literally no business or industry I can’t help. That’s a great question and the one I hear the most. The answer is, it depends. It depends on how many features your website has. It depends on how prepared YOU are with content. It depends on whether you have graphics or you need graphics done. The bottom line is that I will probably be waiting for you to provide me feedback, graphics, text or photos more often that you will be waiting for me. Why are you better than most other website design companies? Several reasons. For one thing, I have been designing websites for almost 20 years. Secondly, I work by myself from home and with a couple free-lance programmers so I don’t have the big overhead that the other companies have so my prices are usually a little lower. And, my extensive print graphic background allows me to make websites that jump off the page. They don’t look like all the cookie cutter sites that most companies have. After a referral from a colleague, I hired Kurt Peck to redo my website. He offered many insights on how I could improve my brand, increase traffic to my web site and create a more professional image for my consulting company. Kurt is helpful and knowledgeable within this business model. 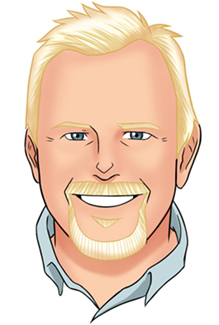 He is reliable and available to consult to help clients build and execute a new website. I highly recommend him for branding and website development! I have worked with Kurt at Peck Creative for a few years now. He has always been there for us and seems to understand our business inside and out. He built our website quickly. It is our lifeline and he keeps it running smoothly. Whenever I need something updated, he does it immediately. Thank you, Kurt. I approached Peck Creative on a friend’s referral and quickly came to know Kurt as simply a good guy to deal with on the phone. Four website projects over two totally separate industries and eight years later Kurt and his team continue to be creative, responsive to our changing needs and timely in the maintenance of our site when needed. His creativity also came in handy with our logo designs. One thing you won’t get with Peck Creative are layers of larger-company overhead and that helped keep our website costs down. I would recommend Kurt and Peck Creative for those looking to build a website from creative conceptualization to completion and maintenance. He’s still a good guy to deal with on the phone! Don't Be Shy. Call the Temecula website design expert. © 2004-2016 Kurt E. Peck / Peck Creative. All rights reserved.